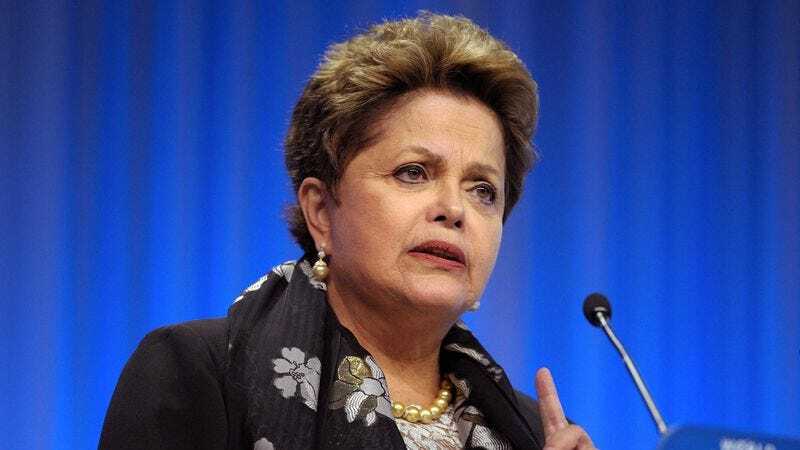 RIO DE JANEIRO, BRAZIL—Responding to ongoing protests over perceived corruption and irresponsibility within the government, Brazilian president Dilma Rousseff announced Monday that any profits from hosting the 2014 World Cup will be invested in desperately needed improvements to the nation’s soccer infrastructure. “Hosting an event of this scale has required significant taxpayer funding, but I want to assure all Brazilians that any and all proceeds from the World Cup will go toward giving our people what they truly need: neatly trimmed grass fields, goals, nets, and brand-new Adidas soccer balls,” said Rousseff, stressing that government officials will ensure the projected $1 billion revenue stream from the international soccer tournament is immediately funneled into projects to update and expand the soccer infrastructure in all Brazilian towns and cities. “These investments are admittedly long overdue, but the system will be rebuilt from the ground up so that millions of men, women, and children can finally have access to new, well-maintained soccer facilities with pristine playing conditions for both full-field and five-a-side games.” Rousseff added that in order to accommodate the extensive nationwide overhaul, the Brazilian government will likely need to demolish several dozen schools and hospitals across the country.